will officially start in less than 2 weeks! And since summer fun a love go hand in hand… how about a free new fresh summer svg cut file?! I would also like to thank Sugar Pink Boutique for sponsoring this post! They have the “sweetest” ;) craft supplies available on the web and would love to hear from you! One of my favorite items they have is the Cotton Candy Mix Vintage Style Seam Binding Ribbons (I hope they come back in stock soon)! 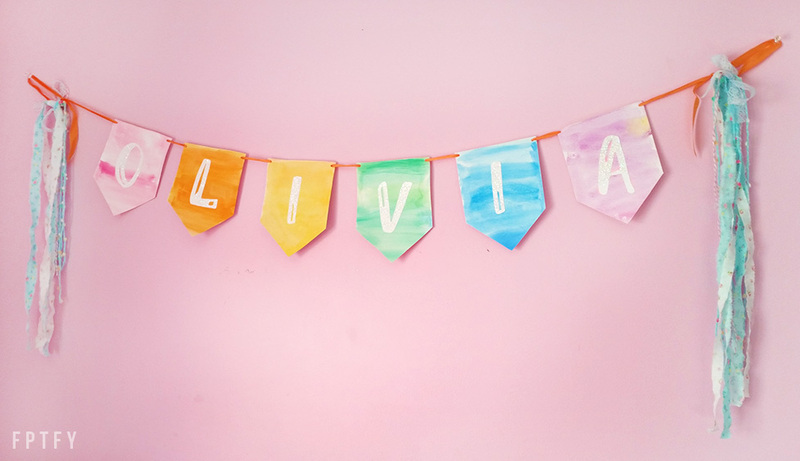 I use them for the custom banners I create for all of my little girl’s friends. Here’s an example.. It was my very first one so it’s not as embellish as the others.. now I add more ribbons, feathers, lace and so on to the side to give it a fuller look.. but you get the idea. And now for the Free cut file! « The June CRAFT Bundle + 21 FREE New Cut Files! I was looking for flamingos yesterday! Thank you! How do I download the Flamenigos?